No love story is ordinary. We don't believe your wedding should be either. Our pavilion provides each couple with a blank canvas, allowing you to personally design your wedding from head to toe. Heritage Homestead is a private family farm estate located in the hills of southern Connecticut. At Heritage, we want our guests to feel like family. Our mission is to allow our guests to experience the luxury of designing their wedding the way they’ve always dreamed of. Our customizable pavilion allows your creativity to run wild with endless design and layout possibilities. 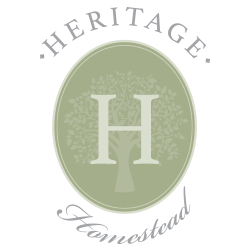 Heritage Homestead has an on site event manager that is available during your entire planning process and can answer any and all of your questions. Come tour our one-of-a-kind location, request a wedding packet, and join the family at Heritage Homestead! Experience the luxury of designing your wedding the way you’ve always imagined! Your options are endless with our list of preferred vendors. At Heritage, we're all about family. 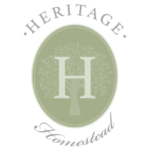 Heritage has 3 generations of family living and working on our property. We find such honor in being able to share our beautiful space with great couples! We'd love to show you around! Come tour the property before you say I Do! Did you know that Heritage Homestead is also the home to our working organic farm 3B Ranch? 3B Ranch specializes in grass fed beef, bison, goat and pig. Visit our website for more information!